Telangana Minority Residential Educational Institution Soceities(TMREIS) Released Notification For Inter 1st year Admission into MPC, BPC, CEC and MEC Courses for the year 2019-20. Online Application from 25-02-2019 to 15-03-2019. and Entrance Test will be held on 13-04-2019.and results will be declared on 02-05-2019. 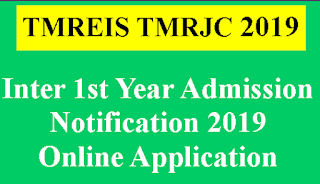 Applications are invited through TMREIS Official website tmreis.telangana.gov.in from the eligible candidates from Minorities (Muslims, Christians, Parsis, Jains, Sikhs& Buddhists) and Non- Minorities (SCs, STs, BCs & OCs) Communities for Fresh Admissions into Intermediate First Year in TMR Telangana Minorities Junior Colleges of Telangana State. 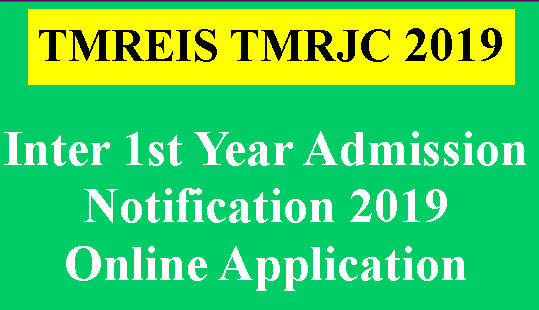 Information about fresh admissions into Intermediate First Year in TMR Jr. colleges for the Academic Year 2019-20. The Age: The age of the candidate shall not exceed 18 years as on 31-08-2019. Annual Income of Parent: For Rural candidates the Annual Income of parent shall not exceed 1.5 Lakhs, for urban candidates shall not exceed Rs. 2.0 Lakhs. (Income Limit is not applicable to disabled and Armed Force/Ex-Servicemen/Widows of Ex-Servicemen Children). Nativity: The candidate should be resident of any district of Telangana State. IV. ELIGIBILITY FOR MPC, B.P.C,MEC& CEC. Respective Jr. Colleges to finalise the admissions. Duration of the Test : 2 Hours. Candidate should appear the Entrance Test at the centre allotted to him/her as indicated in the Hall Ticket. No candidate is allowed to appear the test without Hall Ticket. Nature of Test : descriptive type. BiPC and CEC groups and all the sections are in the same Question Paper Booklet. Preference will be given to the students who have passed out from TMR Schools subject to their eligibility. The number of seats earmarked for Orphan / Disabled / Armed force personnel of Ex – Serviceman or widows of Ex – Servicemen children shall be allotted from the quota of respective community.If more number of candidates are registered from these categories against the allotted seats, the admission shall be given based on the merit. If no child is registered from these specialised categories, the seats shall be filled by giving the admission to the children of respective community based onthe merit. VIII. DOCUMENTS TO BE FURNISHED. 1. At the time of submission of ONLINE application the candidate should posses the following. c) Memorandum of marks of SSC/X Class Board Exam. obtained through Eseva/Mee-seva or original marks sheet issued by the Board. g) Aadhaar & Mobile no. of Parents. 2. Following documents in original with one set of Xerox copies should be submitted by the selected candidate at the time of admission in the respective Jr. College. HOW TO SUBMIT ONLINE APPLICATION. Application can be submitted through online in prescribed format. After fulfilling the eligibility, the candidate should submit the duly filled in ONLINE application through the official website tmreis.telangana.gov.in from any internet center or any TMR Jr. College/School. Upload the photo and signature of the candidate within 100 Kb size only. The candidate can opt the colleges in the order of preference up to three where he/she is seeking admission. The candidate must opt only one group i.e. MPC, BiPC or CEC. There is no ONLINE registration fee. There is no scope for change of any particulars mentioned in the application after submission of ONLINE application. a) Before submission of ONLINE application candidate should fill the sample application form given at Annexure – I.
g) Candidate has no right to claim the admission in TMR Institution by mere submission of ONLINE application. h) Application can be submitted through ONLINE up to 20-04-2018.
j) Candidate should give the order of preference of Jr. College up to three. l) The candidates who opt BiPC group should have been secured minimum marks of 60% or CGPA 6.0and B2 grade in Science subject in SSC/X Class Board Examination. n) The candidates who opt CEC group should have been securedminimum marks of 60% and CGPAmere pass in SSC/X class Board Examination is sufficient. o) The candidate may opt any one of four groups i.e. MPC,/BPC or MEC/ CEC subject to his/her eligibility. However he/she can give order of preference of these four groups for admission as per his/her choice. p) After submission of ONLINE application, candidate should take print out of the application and should be kept it safely. Note: MEC and CEC Groups are available only in Jr. College Nagaram (Boys), Nizamabad Dist. and there is no MPC/BiPC Groups in this college. Whereas M.P.C./BiPCgroups are available in all other Jr. Colleges and MEC/CEC Groups are not available in these colleges. 1. Selection is done on the basis of merit i.e. CGPA/Marks secured in SSC/X Class Board Examinations. 2. Preference will be given to the students who have passed out from TMR Schools subject to their eligibility. 3. If more than one candidate, secured the same Marks/CGPA, selection is done based on the Grade/Marks secured in Mathematics for MPC group. If the candidates posses same Grade/Marks in Mathematics, then Marks/Gradein Science is considered, if it also same, Grade/Marks in English is considered, if it also same D.O.B is taken into consideration i.e. senior student will be given preference. 4. If more than one candidate who have opted BiPC group and secured the same CGPA/Marks the selection is done based on the Grade/Marks secured in Science subject, if they have same Grade/marks in Science then Grade/Marks in English is considered, if they possess same Grade/Marks 13 in English then selection is done based on D.O.B.i.e. senior student will be given preference. 5. 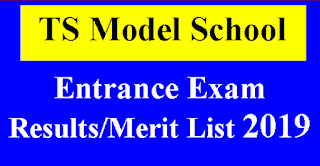 If more than one candidate who have opted MEC group and secured same Marks/CGPA the selection is done based on the Marks/Grade secured in Mathematics subject, If they have same Marks/Grade in Mathematics then Grade/Marks in English is considered, if they possess same Grade/Marks in English then selection is done based on D.O.B. i.e. senior student will be given preference. 6. If more than one candidate who have opted CEC group and secured same Marks/CGPA the selection is done based on the Marks/Grade secured in English is considered, if they possess same Grade/Marks in English then selection is done based on D.O.B. i.e. senior student will be given preference. XII. IMPORTANT INSTRUCTIONS TO THE CANDIDATES. 1. Before submission of ONLINE application candidate should fill the sample application form given at Annexure – I. 2. Passport size photograph should be kept ready. 3. Particulars given in the application should be filled carefully with correct information. 4. There is no scope for change of any particulars mentioned in the application once the application is submitted on ONLINE. 5. Parents/Guardians are responsible for any wrong entry in the application from. 7. Candidate has no right to claim the admission in TMR Institution by mere submission of ONLINE application. 8. Application can be submitted through ONLINE by visting TMREIS official website tmreis.telangana.gov.in from 25-102-2019 to 15-03-2019. 9. Candidate should give the order of preference of Jr. College up to three. 10.The candidate may opt four groups optional subjects combinations) i.e. MPC, BPC, MEC or CEC in order of preference for admission as per his/her choice subject to his/her eligibility. 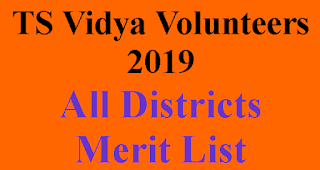 MEC and CEC groups are available only in TMR Jr. College(Boys)Nagaram, Nizamabad Dist and MPC and BiPC groups are available in all other 11 TMR Jr.colleges. 11. After submission of ONLINE application, candidate should take print out of the application and should be kept it safely.